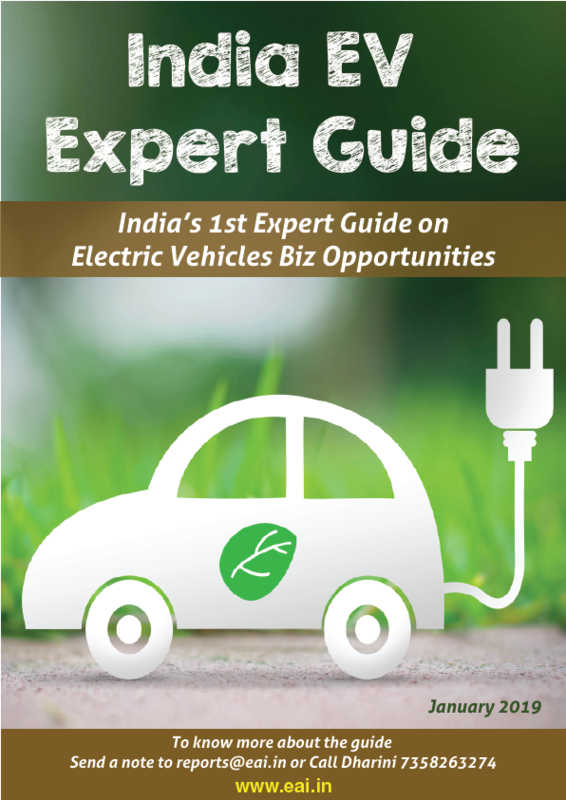 To purchase India EV Expert Guide using credit card, please use the 'Buy Now' button provided below. You will be paying through the Paypal/ CCAvenue platform, an verisign secured payment platform. Your payment will be safe and secure. EAI (Energy Alternatives India) is India’s leading renewable energy research, consulting, and catalysis firm. EAI runs India’s largest renewable energy website (www.eai.in), the country’s largest renewable energy newsletter (EAI Daily) and India’s largest renewable energy community (EAI Club). EAI’s consulting team has assisted global and Indian blue chip companies in their sustainability efforts. Our consulting clients include the World Bank, Bill & Melinda Gates Foundation, Reliance, La Farge, Vedanta, Tamil Nadu & Karnataka State Governments, MNRE, and more. EAI is headquartered in Chennai, India. 2-3 business days. * Please note that additional charges will be applicable for hard copy and shipping of EV Expert Guide, to know more contact MuthuKrishnan.